It is observed among nearly 40% of the patients who consult to doctor for male infertility. It occurs due to enlargement of the veins in testicles that produce sperm within the male body. Varicocele in the veins returning the circulation to the heart disrupts the blood flow in testicles, causing increase testicle heat, accumulation of toxic substances in blood and affects the production of sperm and testosterone. Varicocele is usually observed in the left side as the veins on this side are longer and they are connected to the main vein with a perpendicular angle; thus, the blood is not discharged fully. Varicocele can occur on both sides and les frequently on the right side. Primary diagnosis method for varicocele is physical examination. The vein and nerve structure entering the testicles is examined manually by a doctor. Doppler ultrasound is also one of the methods used to research varicocele; clinical operation is not required for varicocele that is diagnosed with ultrasonography and cannot be diagnosed with manual examination. If the patient suffers from extensive complaints, severe pain and urologists is in the opinion that surgery is inevitable, the patient is recommended to have the surgery. Surgery is not recommended to patients with normal sperm parameters, diagnosed with only radiological varicocele and having vein diameter below the normal level. It is not the right approach to perform varicocele surgery solely because of the pain. Normally, the body temperature in the scrotum that protects the testicles is a few degrees lower than the rest of the body. Cooler environment is required for healthy sperm production and sperm quality; however, blood accumulated in the vein due to varicocele increases the temperature. Toxic substances from kidneys and adrenaline glands accumulate in testicles, disrupting the sperm quality. Sperm motility may be affected adversely and such losses in sperm motility is one of the reasons of infertility. 25-30% of male patients who consult to doctor due to infertility and problems detected with sperm values, motility as a result of spermiogram are diagnosed with varicocele. 15% of men with normal sperm values and children were also diagnosed with varicocele. However, patients are not recommended to have varicocele surgery unless it is considered compulsory by the Urologist during infertility and in vitro fertilization treatment. Varicocele is treated with micro-surgery method. During Varicocele Surgery, micro-surgery is applied in the inguinal region to tie the veins from testicles in order to protecting the vein bringing blood to testicles. Approximately 50% improvement can be achieved with spermiogram values of varicocele patients as a result of successful diagnosis and micro-surgery. However, no positive effect of Varicocele Surgery was found in connection with conception. 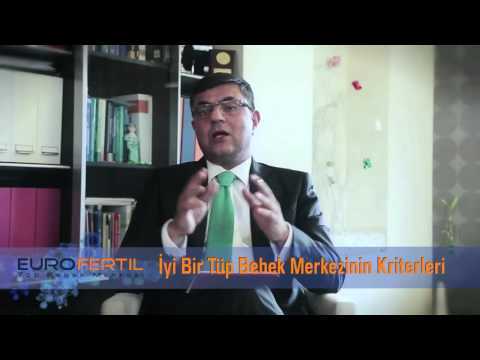 The contribution of the varicocele surgery in treatment of male fertility was not proven scientifically. High success rate of in vitro fertilization treatments allow prospective parents to opt for in vitro fertilization treatment directly with microinjection method due to the period of uncertainty for 6 months following the varicocele treatment. Intrauterine insemination may be recommended if the prospective father’s spermiogram results are positive and there is no female factor, i.e., prospective mother is below 39 years of age. The success rate of intrauterine insemination is very low in case of severe sperm disorders and in vitro fertilization-microinjection treatment may be applied upon consulting to an urologist. Varicocele surgery is not recommended for the purpose of pregnancy in case of azoospermic males who do not have any sperm. Urologist may not recommend treatment to an individual with normal sperm values who has children even if varicocele is diagnosed with manual examination.